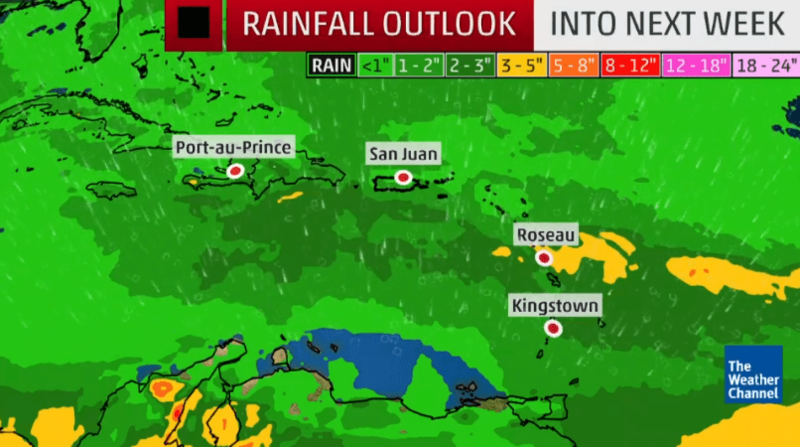 MIAMI — Hurricane Isaac is pushing through the open tropical Atlantic Ocean right now but could bring heavy rain and damaging winds to parts of the Lesser Antilles later this week. Steered westward by high pressure to its north, Isaac is forecast to approach the Lesser Antilles by Thursday. Isaac’s intensity forecast is uncertain due to its small size, but the hurricane is expected to grow stronger early this week. Later this week, wind shear is expected to increase, which would then trigger some weakening before the system arrives in the Caribbean. 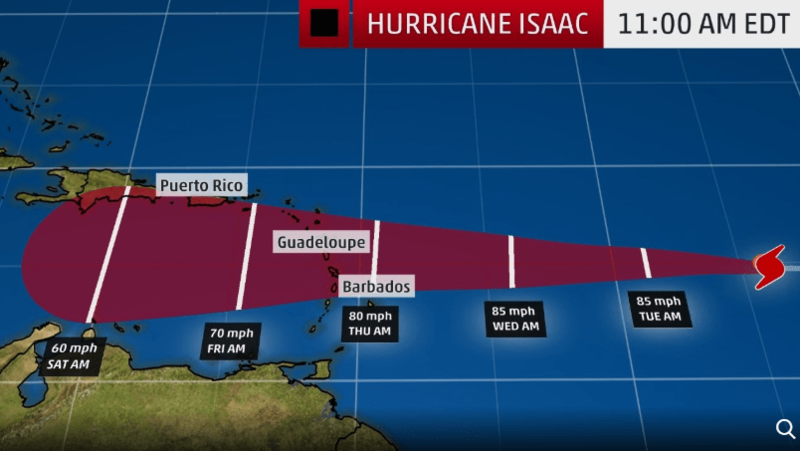 Isaac is expected to approach the Lesser Antilles on Thursday as a Category 1 hurricane or possibly a strong tropical storm. Increasing surf will likely approach the windward sides of the Lesser Antilles by Wednesday and Thursday. Tropical-storm-force winds (39 mph or higher) could arrive in Barbados and the central Lesser Antilles by late Wednesday or Thursday morning. The U.S. Virgin Islands and Puerto Rico could see tropical-storm-force wind gusts Thursday into Friday even if the center of Isaac passes to the south. Isaac may also bring a moisture surge to those islands, increasing shower and thunderstorm activity. Interests in the Lesser Antilles should monitor the Virgin Islands Free Press for the progress of Isaac for updates.